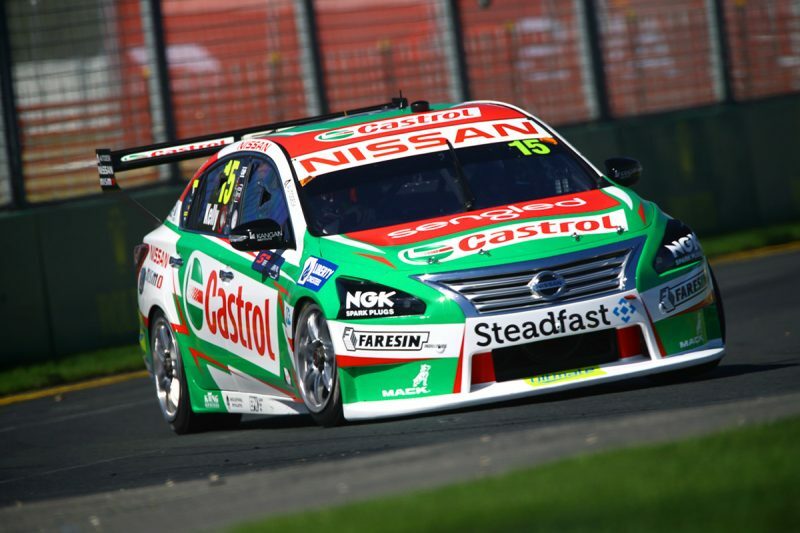 Nissan Motorsport is investigating ways it can upgrade the Nissan Altima’s boot and drivers door using composites. It’s the latest in a string of developments from non-Holden teams as they react to the ZB Commodore, which features a number of composite panels. Lighter than the factory originals, the use of composite panels allows teams to use ballast mounted lower in their cars to improve the handling, though in the Commodore’s case they were primarily used as a way of overcoming supply issues. In response, the Ford teams have worked to replace the roofs and bonnets on the FGX Falcon, though tight turnarounds between the opening round and Albert Park meant not every car had both, while others will have to wait until Phillip Island. Nissan too implemented changes for the Grand Prix, a new roof the precursor to a number of lightweight panel upgrades its currently investigating. 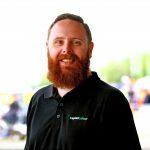 “So we had four new roofs on the cars for the Grand Prix,” team manager Scott Sinclair told Speedcafe.com. “We’re looking at ways to do just a boot, but more from a perspective of making it repairable. “We’ve got a pallet full of boots that are damaged where someone bumps into the back of you then they’re throw aways. “But if that bottom panel, bottom sort of 300mm or 200mm, is replaceable, it’d save us a significant amount of money and time. The team is also pursuing a composite door to replace the steel skinned version it currently uses. Conceptually the design has been approved by Supercars, a solution which mimics the Holden ZB Commodore which already employs a composite skinned driver’s door. According to Sinclair it’s again less of a performance measure and more an economic one, with the composite door needing to stand up to the same scruitiny as the steel version. “We have to prove it’s as strong, so that’s why the weight difference isn’t as much as we’d like to see because it has to be strong enough to cop the same loads as the current door,” Sinclair explained. “But, to be fair, the door has most of the safety work on the inside where there’s the big honeycomb crash structure, so the skin as such isn’t the important part I suppose, but it all helps naturally. Like the boot lid, a composite door is also more easily repaired, meaning the additional costs of the door would be offset by lower ongoing costs. Currently the team has a number of spares, and is therefore in no hurry to realise the marginal gain at the expense of making its current stock obsolete. “We do have a lot of spares and driver doors surprisingly, and other doors in general. You go through less than you probably think. “It’s all front and rear end stuff that you tend to replace a fair bit more, so front bumper bars, bonnets, boots and rear bumper bars. They’re the high turnover items. The Melbourne-based squad’s trucks headed to Tasmania on Tuesday, while the bulk of the team will head south for the third round of the season on Thursday. The Tyrepower Tasmania SuperSprint begins on Friday, with two practice sessions which, for the first time, will set the running order for an all-new qualifying format on Saturday.